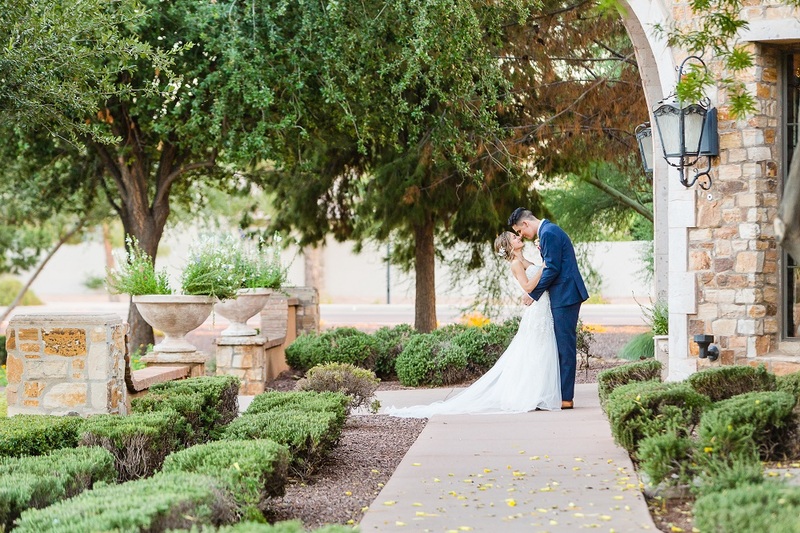 We were so happy to be a part of Nicole and Nicholas’ journey. 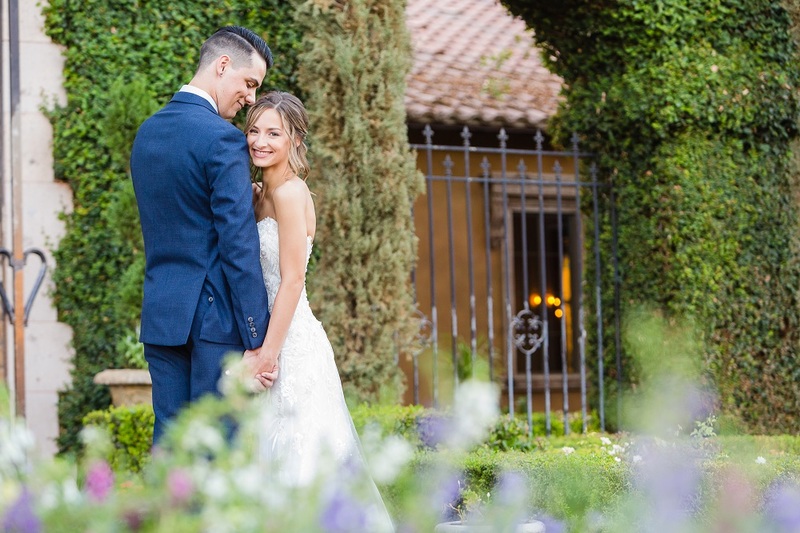 This gorgeous young couple was a pleasure to work with — and so in love! They met at Papa John’s (as if any of us needed convincing that pizza can bring people together!) 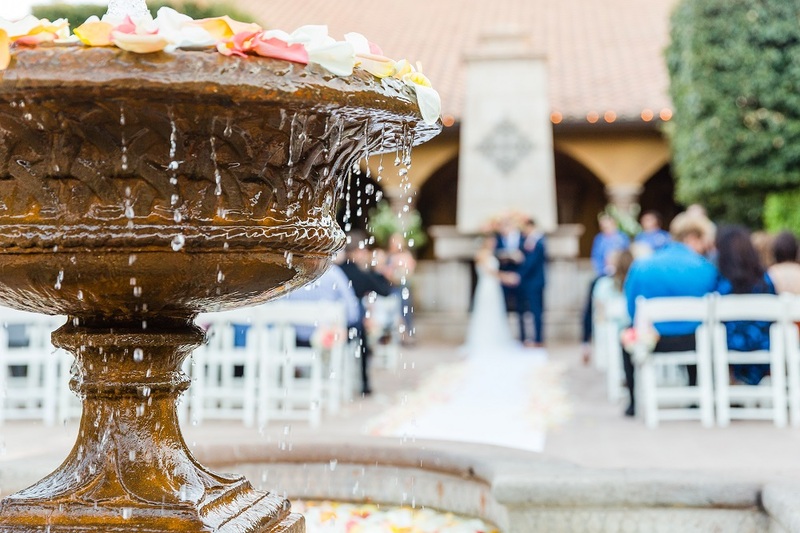 and joined us for a romantic, spring-inspired event at the villa. 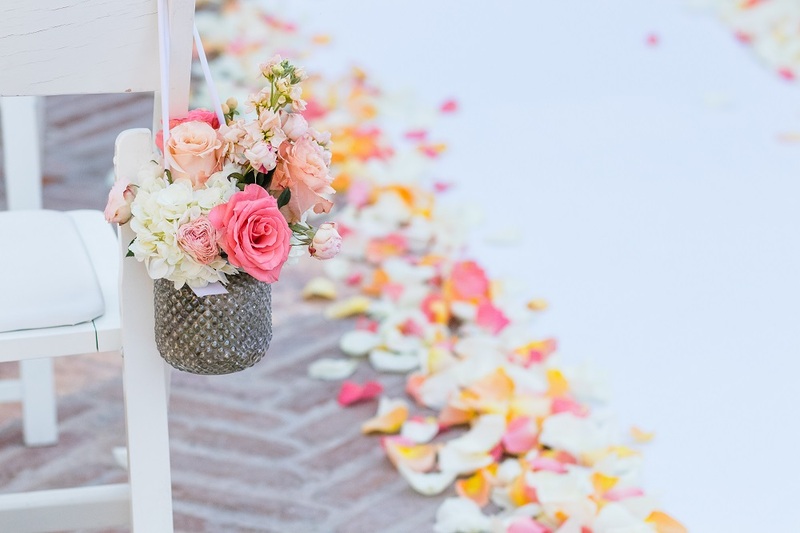 The color scheme, full of orange, pink, and white roses, had a lovely, fresh feel — and Nicholas’ blue suit and the dashing groomsmen looked so handsome. Their tailoring was definitely on-point and the suspenders were a particularly nice touch! 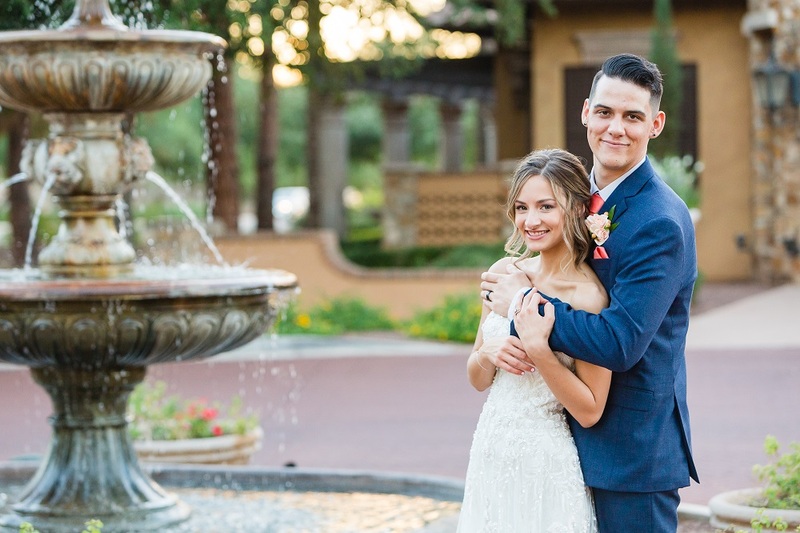 But Nicole stole the day in a strapless, sweetheart dress with intricate beadwork — she was simply glowing! 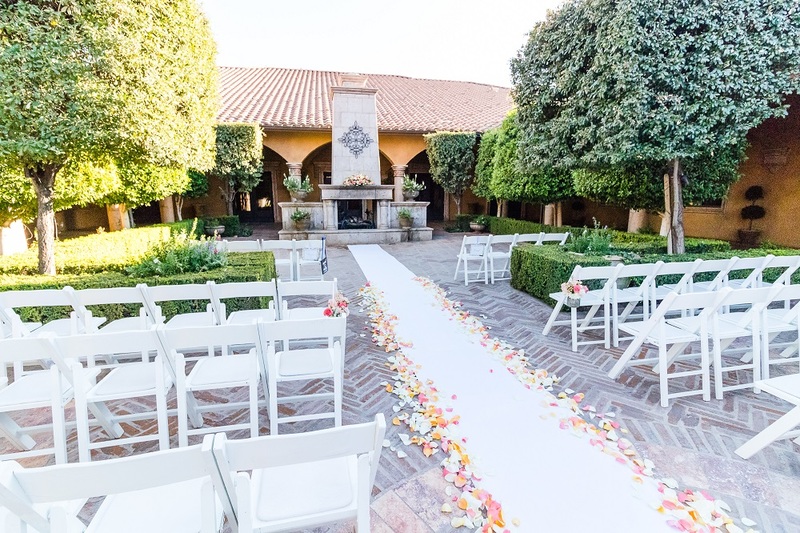 The ceremony was really touching, with the officiant speaking about the journey of marriage, rather than the destination — it seemed like a great fit for a such a warm couple. The reception was a lot of fun, with simple but elegant decor, lots of personalized signs, and, of course, a signature cocktail — the Marry Me Mule! We loved seeing the couple have their first dance to “Perfect”, and father-daughter and mother-son dances were great fun as well. The cake was a scrumptious looking two-tiered work of art, with amazing design and floral trimmings. As if that wasn’t enough, the guests certainly seemed to have a great time with the photo booth — there really was something for everyone! Nicole and Nicholas are such a lovely couple, one that’s just embarking on the next, exciting phase of their journey. We hope they enjoyed the day as much we did!